For over seventeen years, BiotechTuesday has been the leading event for biotech networking in the Boston area. It is easy to strike up a conversation, learn about industry trends, and generate new opportunities at BiotechTuesday. This month we will meet a Harvard Gardens, a popular Beacon Hill venue. It is conveniently located near the MGH stop on the Red Line. 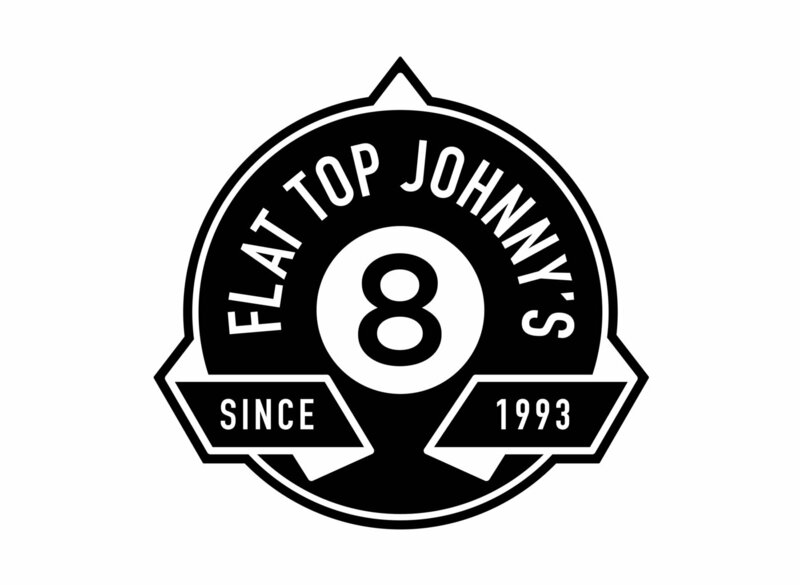 This month we will meet a Flat Top Johnny's, a popular Kendall Square venue with pool tables. It is conveniently located near the MIT stop on the Red Line. This month we will enjoy networking at The Asgard, a popular bar conveniently located in Cambridge. We will have the front and back networking space for BiotechTuesday attendees. This BiotechTuesday will be an open event for all. There will be no charge to register for the event in advance if you are not on the BiotechTuesday invite list. This month we will enjoy networking at Brandy Pete's, a longtime landmark in Boston's Financial District. We will have the entire second floor for BiotechTuesday attendees. This month we will meet at two galleries - Abigail Ogilvy Gallery and A R E A Gallery to celebrate the holidays in style. There will be plenty of cutting-edge art and good cheer to go around. Artists on display include Natalia Wrobel, M. Benjamin Herndon, and others. This event is sponsored by Mass Innovation Labs, offering the Boston biotech community turnkey labs with full operations support that eliminates upfront costs and accelerates R&D timelines. Mass Innovation Labs enables companies to get up and running in weeks. By leveraging best practices, pharma grade infrastructure, and operations, Mass Innovation Labs clients achieve maximum productivity with an efficient use of capital. Private suites are available from 1500 - 18,000 sq ft across three facilities: 21 Erie Street, Cambridge, 40 Guest Street, Boston, and 6 Tide Street, Boston. This month we will enjoy networking at The Asgard, a popular bar conveniently located in Cambridge. We will have the entire venue for BiotechTuesday attendees. This month's event will be held at Scholars American Bistro and Cocktail Lounge, a spacious and popular venue in Downtown Crossing. The event will be in the upstairs bar that also includes pool tables. The World Series will be available to view at this event. For over ten years, BiotechTuesday has been the leading event for biotech networking in the Boston area. It is easy to strike up a conversation, learn about industry trends, and generate new opportunities at BiotechTuesday. This month we will enjoy poolside networking on the Rooftop Bar at the Revere Hotel. This new outdoor venue offers a great view of downtown Boston. The Revere Hotel is conveniently located near Boston Commons. Please take the elevator from the lobby to the Pool Level (PL) of the hotel. The bar can be reached at 617-482-1800. Note: In the event of inclement weather, BiotechTuesday will be held at the Emerald Lounge in the same location. This BiotechTuesday will be an open event for all. There will be be no charge to register for the event in advance if you are not on the BiotechTuesday invite list. 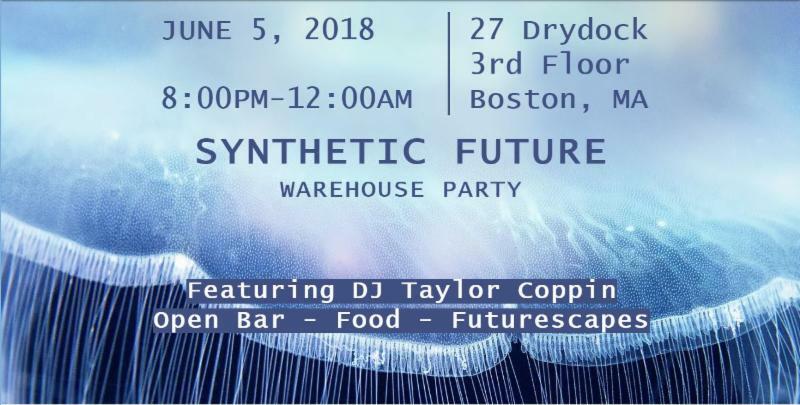 BiotechTuesday, Mass Innovation Labs and Related Beal are co-hosting the warehouse party of the year, just minutes away from the BIO International Conference being held at the Boston Convention & Exhibition Center. We will provide music, a spectacular light show, food, and an open bar. Mass Innovation Labs is an R&D space focused on accelerating the commercialization of life science opportunities. Mass Innovation Labs offers pharma quaIity infrastructure, expertise, and turnkey operations to enable companies to get up and running in weeks. By leveraging best practices and partnerships, Mass Innovation Labs helps companies achieve maximum productivity with the efficient use of capital. Space is available as shared access benches and private suites from 1500 - 18,000 sq ft. The Boston office of the Related Companies, is a fully integrated real estate firm focused on development and investment opportunities in Boston and the surrounding region. Related Beal leverages a national real estate platform with expertise across all asset classes and storied local experience in life science, commercial and residential development, hospitality, property management and real estate investments. 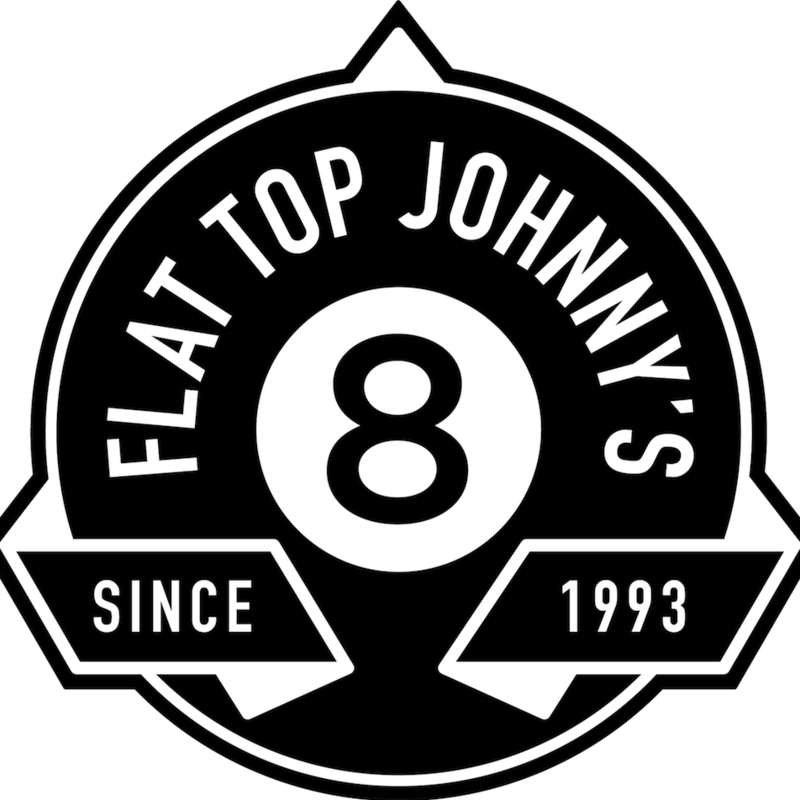 This month we will meet a Flat Top Johnny's, a popular Kenddall Square venue with pool tables. It is conveniently located near the MIT stop on the Red Line. Join us this month in The Gallery at the W Hotel in Boston, located in the heart of the dynamic Theatre District. The Gallery features an inviting atmosphere with signature cocktails and original artwork. The Gallery room is located right off the main W Lounge in the lobby of the hotel. BiotechTuesday and Mass Innovation Labs are excited to host an event focused on rare diseases. This is a unique opportunity to foster a dialogue between research and the biotech industry to advance therapies for rare diseases. The convocation will allow for discussion with recognized experts on diseases such as: ALD (CCALD/AMN), FTD, MOCD, Cystinosis, Canavan, Tay Sachs, HSAN, CMT, Norrie, MLD, NCL, and many more. the event will include tables for specific diseases and posters from leading research labs. Mass Innovation Labs is an R&D space in Kendall Square focused on accelerating commercialization. Mass Innovation Labs offers pharma quaIity infrastructure, expertise, and turnkey operations to enable companies to get up and running in weeks. By leveraging best practices and partnerships, Mass Innovation Labs helps companies achieve maximum productivity with efficient use of capital. Space is available as shared access benches and private suites from 1500 - 18,000 sq ft. The Center for Rare Neurological Diseases (CRND) aims to eradicate rare disorders of the nervous system by leveraging the power of biological insights towards design and implementation of clinical trials. The CRND seeks to implement strategies and create partnerships that advance treatments for rare diseases, thereby serving the many unmet needs in the community. Please join us at Back Bay Social Club, a spacious venue conveniently located across from the Hynes Convention Center. We will be hosting the event in the downstairs bar. This month we will meet at Mass Innovation Labs to celebrate the holidays in style. We will have a winter theme with live violin music. For added spice, we will have free holiday props to wear and gifts. achieve maximum productivity with efficient use of capital. Space is available as shared access benches and private suites from 1500 - 18,000 sq ft.
For the month of November, please join us at Towne Stove and Spirits, an elegant restaurant and bar that is is conveniently located adjacent to the Hynes Convention Center. We will be hosting the event in the uptown dining room, which is in the second floor space. For those coming from work with an appetite, Towne will be seating for dinner right by the main networking event area. You may make your reservation on OpenTable, or by calling Towne directly at 617-247-0400. This month we will host BiotechTuesday at a family-owned Persian restaurant called Lala Rokh, located in the historic and charming Beacon Hill neighborhood. The name of this restaurant is the title of an epic romance by the 19th century poet Thomas Moore. In it, he tells the story of Lala Rokh, which means Tulip Cheeks, a beautiful young princess on a journey of love and discovery. The romantic décor of this restaurant reflects the spirit of the story of Lala Rokh, and is topped by the gracious hospitality of the staff and delicious soul food. The restaurant will take dinner reservations for BiotechTuesday guests on the evening of 10.24, and there will be a 10% discount on food orders. There will be discounted appetizers and specialty cocktails available for the BiotechTuesday event as well. If you would like to make a reservation, please call Lala Rokh at 617-720-5511. This month we will meet at Dante Restaurant in the Royal Sonesta Hotel. The restaurant is located along the Charles, and its patio features magnificent views of the Charles River and Boston skyline. Dante will be offering an $8 small plate appetizers menu during the event, all Italian cuisine, prepared by star chef Dante de Magistris. Food for thought is an extension of the BiotechTuesday networking event. If you would like to participate in the Food for Thought dinner, prior to the main networking event, and take advantage of more intimate networking and the discounted Dante menu being offered, please RSVP and purchase your dinner ticket here. Attendees are responsible for the costs of their drinks or any items ordered during dinner in addition to what the dinner ticket covers for the meal. Don’t miss this opportunity to build your network over dinner, so please register to attend Food for Thought! Parking: The Cambridgeside Galleria Mall located at 100 Cambridgeside Pl, across the street from Dante, offers parking after 5pm for 1-10 hours at $3.99. Dante will validate parking for up to 3 hours for $15. Food for thought offers BiotechTuesday members an opportunity to network over dinner. Attendees can choose to have a table discussion on a specific topic or one-on-one discussions with others at the table. This month we will be having dinner at Dante Restaurant in advance of the main BiotechTuesday networking event. This restaurant offers fine Italian cuisine, receiving Bon Appetit Magazine’s “Hot 10 Restaurants” and Boston magazine’s “Best of Boston” award, prepared by star chef Dante de Magistris. BiotechTuesday members are welcome to order from the fixed price menu that offers a savings of up to 23% off the regular menu prices. Please note – the pre-purchased dinner does not include drinks or any additional items ordered off the offered menu. The regular menu will also be availble for those that prefer this. Non-Members can Register for Free! Enjoy the end of summer with a fun Luau-themed outdoor* BiotechTuesday. This event will showcase multiple biotech vendors and will be an outdoor* networking event with swag, music, food and lots of other surprises! Be sure to wear your Hawaiian shirt. *If the weather permits - we will be holding this month’s BiotechTuesday outdoors in the North Plaza of Kendall Square, right outside the doors of 675 West Kendall Street. In case of rain, we will be inside of 675 West Kendall, in the atrium space. The venue is being sponsored by Mass Innovation Labs, an R&D space in Kendall Square focused on accelerating commercialization. Mass Innovation Labs is built from the ground up on the principles of being flexible, cost effective, and providing turnkey solutions for rapidly scaling R&D programs. It is distinguished from other innovation programs, accelerators, and incubators in the scale of its space, the range of clients it supports, and the quality of client base to date. The MIL model reduces the time for R&D teams to overcome hurdles on their way to a milestone. Space is available as shared access benches and private suites from 2000-18,000 sq ft. This month we will meet at Morton's The Steakhouse, a new venue for us in the Boston Seaport that sports a nice outdoor area to mingle in a warm July evening. There will be complementary appetizers and $16 valet parking. Please proceed to the outside event room in the back of the restaurant. Valet Parking: Starting 5pm, Morton’s The Steakhouse offers valet parking in front of the restaurant for $16.00 per car (less than surrounding garage parking). This event profiles life science vendors with research technology or programs that support innovators in new ventures and small research teams. This includes contract research services, software/cloud platforms, instrumentation, and reagents. Included in the program are presentations on leading edge solutions. The venue is being sponsored by Mass Innovation Labs, an R&D space in Kendall Square focused on accelerating commercialization. Mass Innovation Labs offers pharma quaIity infrastructure, expertise, and turnkey operations to enable companies to get up and running in weeks. By leveraging best practices and partnerships, Mass Innovation Labs helps companies achieve maximum productivity with efficient use of capital. Space is available as shared access benches and private suites from 2000-18,000 sq ft.
Appetizers and two drink tickets for every attendee who enters before 7:30 PM. Presentations from leading life science vendors addressing research technology or programs that support innovators in new ventures and small research teams. This includes contract research services, software/cloud platforms, instrumentation, and reagents. Included in the program are presentations on leading edge solutions. Topic: The BRAND Liquid Handling Station – Bringing automation to your benchtop. Presenter: Nancy Nardone, Technical Product Specialist, BrandTech® Scientific, Inc.
Topic: Discovery tools and bioprocess development platforms for robust scale-up and speed to the clinic. Presenter: Remi Laliberte & Tom Erdenberger, Process Development Consultants. The lecture hall is being sponsored by Mass Innovation Labs, an R&D space in Kendall Square focused on accelerating commercialization. Mass Innovation Labs offers pharma quaIity infrastructure, expertise, and turnkey operations to enable companies to get up and running in weeks. By leveraging best practices and partnerships, Mass Innovation Labs helps companies achieve maximum productivity with efficient use of capital. Space is available as shared access benches and private suites from 2000-18,000 sq ft. This month we will meet at Carrie Nation, a venue near the Park Street T with the feel of a speakeasy and room to network around a pool game or two. Please proceed past the bar to the event room in the back of the restaurant. BiotechTuesday, CRADL and Mass Innovation Labs are excited to host an exclusive event with the Center for Rare Neurological Diseases at the Massachusetts General Hospital. This is a unique opportunity to foster a dialogue between research and the biotech industry to advance therapies for rare diseases. Mass Innovation Labs is a new R&D space in Kendall Square focused on accelerating commercialization. Mass Innovation Labs offers pharma quaIity infrastructure, expertise, and turnkey operations to enable companies to get up and running in weeks. By leveraging best practices and partnerships, Mass Innovation Labs helps companies achieve maximum productivity with efficient use of capital. Space is available as shared access benches and private suites from 1500 - 18,000 sq ft. The Charles River Accelerator and Development Lab (CRADL™) is our new option providing turnkey vivarium rental space in Kendall Square, Cambridge, MA. This centrally located laboratory allows clients to invest in their research projects instead of infrastructure, without compromising on the quality of their workspace or equipment. Managed by our skilled technicians, animals receive the best in care in secure, modern, compliant facilities. CRADL™ is the optimum space for our clients to launch or expand their business, with the added beneﬁt of access to Charles River’s complete portfolio of integrated drug discovery resources. This month's BiotechTuesday will be hosted at Maggiano's, a venue offering fine Italian cuisine and ample space for networking. We will meet in the downstairs dining room. There will also be a Food for Thought dinner event from 5:30PM to 7PM in advance of the general BiotechTuesday networking event. Please register to attend this pre-event dinner here. Food for Thought offers BiotechTuesday members an opportunity to network over dinner. Attendees can choose to have a table discussion on a specific topic or one-on-one discussions with others at the table. This month we are meeting at Maggiano's in advance of the main BiotechTuesday networking event. This restaurant offers fine Italian cuisine. All members of BiotechTuesday can order off the menu with a 15% discount. Food for Thought is an extension of the BiotechTuesday networking event. Please RSVP for BiotechTuesday members or purchase a ticket as a non-member from the Boston area BiotechTuesday event page for this event date to attend Food for Thought. In addition to registering for BiotechTuesday, please register for Food for Thought from the registration button on this page. Food for Thought is offered at no additional charge for the event, but the attendees are responsible for the costs of their food and drinks. Don't miss this opportunity to build your network over dinner, so please register to attend Food for Thought now! 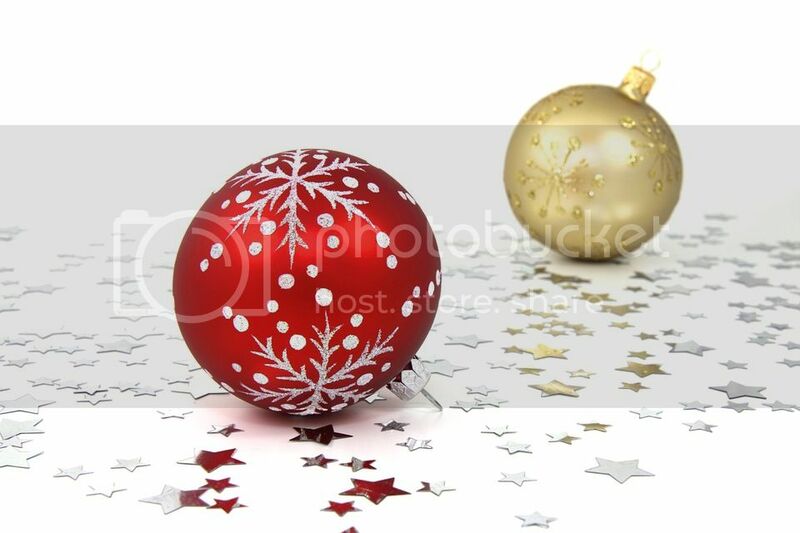 This month we will meet at Mass Innovation Labs to celebrate the holidays in style. We will have a winter theme with live violin music. For added spice, we will have free holiday props to wear. Network with colleagues and enjoy lively conversations surrounded by eye catching art. This month's BiotechTuesday will be hosted at Liquid Art House, a unique venue offering a feast for your senses that balances art, space, and design. We will meet in the central bar area. Grow Innovation in Biotech - Win cash and a free stay at Mass Innovation Labs' Benches on Demand program! Leverage Boston’s largest biotech networking group to drive your innovation! Top innovations will be showcased in our fun and exciting event that includes table pitches for top teams and plenty of informal networking. The venue is sponsored by Mass Innovation Labs, an Accelerated Commercialization Space that offers pharma quality infrastructure, turnkey operations, and expertise. This program launches companies in weeks and reduces the time to key milestones. Mass Innovation Labs is offering a grand prize of three months of FREE Benches on Demand space to the winner. Start-up life science companies receive full operations support to execute on proof of concept or early stage validation R&D projects. Companies can graduate to larger space at Mass Innovation Labs. There are also cash awards from Charles River Labs and Greenburg Traurig. Entrepreneurs with startups will pitch to judges. The winning team gets to pitch at the event on September 20. Attendees learn about the top teams entered in the competition. Awards are presented for the top innovative companies. Those who are not a member of BiotechTuesday please "Apply to Join". Interested in being a judge or joining our event support team? Click here. Sponsor an Innovation Award and learn about other sponsorship opportunities. Click here. Revel in the summer with your colleagues at BiotechTuesday. This month's BiotechTuesday will be held at the popular Alibi Bar & Lounge in the Liberty Hotel next to MGH. We will meet in the great outdoor patio if the weather is nice. This month we will meet at Mass Innovation Labs to celebrate the launch of their new Innovation Suites. This program was designed to be the optimal lab space for small teams to launch a new platform or therapeutic opportunity. The suites come with the impressive operational support from Mass Innovation Labs and access to research tools, animal facilities from CRADL, and other resources needed to efficiently get the work done! BiotechTuesday is also launching an Innovation Competition that will award the best biotech opportunity with three months of bench space at Mass Innovation Labs. More details will follow shortly for submitting your opportunity for review. The winner will be announced at our September 2016 event. The venue is being sponsored by Mass Innovation Labs, a new R&D space in Kendall Square focused on accelerating commercialization. Mass Innovation Labs offers pharma quaIity infrastructure, expertise, and turnkey operations to enable companies to get up and running in weeks. By leveraging best practices and partnerships, Mass Innovation Labs helps companies achieve maximum productivity with efficient use of capital. Space is available as shared access benches and private suites from 1500 - 18,000 sq ft. This month we will meet at Emerald Lounge, a modern venue in the Revere Hotel that is conveniently located near the Boston Commons and the Theater District. It sports an outside deck if the weather is nice. This month we will meet a Mass Innovation Labs 3rd floor event space. Newly furnished, this lounge offers fun and stylish space to network. The venue and drinks are being sponsored by Mass Innovation Labs, an R&D space in Kendall Square for member companies to focus on accelerating commercialization. Mass Innovation Labs offers pharma quaIity infrastructure, expertise, and turnkey operations to enable companies to get up and running in weeks. By leveraging best practices and partnerships, Mass Innovation Labs helps companies achieve maximum productivity with efficient use of capital. Warm up the winter with lively conversations surrounded by eye catching art. This month's BiotechTuesday will be hosted at Liquid Art House, a unique venue offering a feast for your senses that balances art, space, and design. We will meet initially in the side bar and then migrate to the central bar area. With the rapid increase in venture capital investments over the past year, it is the best of times to be an innovator. Our "labside" chat presents leaders from biotech companies at Mass Innovation Labs to discuss their experiences, perspective on the industry, and key trends going forward. This is a great opportunity to hear about exciting startups such as Imagen Biopharma, Gritstone Oncology, and others. This month we will meet at Central Bistro in Downtown Crossing. Central Bistro is a modern and airy venue with an excellent wine bar. We will be meeting in the side room. This month we will meet at Moksa, a venue in Central Square near the T that offers a large and modern space to enhance networking. Enjoy a hot summer night with a fine mix of art and science. This month's BiotechTuesday will be hosted at Liquid Art House, a unique venue offering a feast for the eyes that balances art, space, and design. We will meet in the central bar area. BiotechTuesday @ Alibi - Revolution! Thinking about a revolt against the pharma status quo? Come to this month's BiotechTuesday at the popular Alibi Bar & Lounge in the Liberty Hotel next to MGH. We will meet in the great outdoor patio if the weather is nice. For a limited time, Non-Members can Register for Free! This event profiles life science vendors with research technology or programs that support innovators in new ventures and small research teams. This includes discount programs for early stage ventures, services designed to help life science organizations launch, and cutting edge instrumentation and reagents. While venture capital and other funding is critical for early stage ventures, so too are the supplier and CRO partnerships that can foster better performance and lower capital outlays. This program complements an earlier BiotechTuesday program focused on enabling high performance small team research. It offers an opportunity to engage with resource partners one on one and learn more about how these partners can drive more effective research. The venue is being sponsored by Mass Innovation Labs, a new R&D space in Kendall Square focused on accelerating commercialization. Mass Innovation Labs offers pharma quaIity infrastructure, expertise, and turnkey operations to enable companies to get up and running in weeks. By leveraging best practices and partnerships, Mass Innovation Labs helps companies achieve maximum productivity with efficient use of capital. Space is available as shared access benches and private suites from 2000-18,000 sq ft. 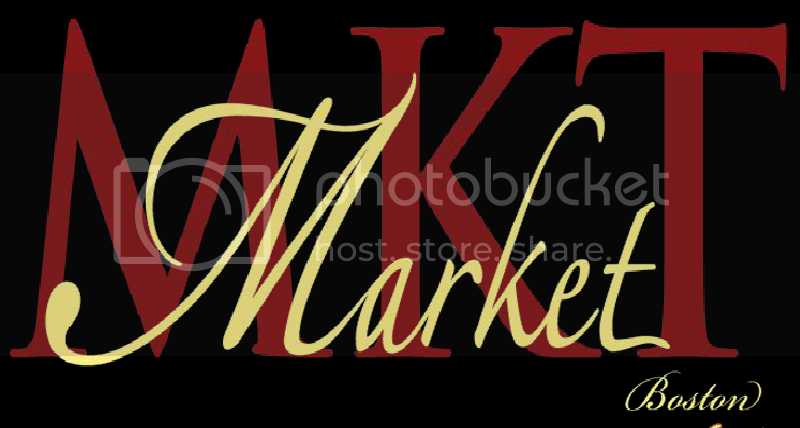 This month we will meet at Market, a spacious venue in the Financial District. Market offers a funky interior and an outdoor patio space. This discussion will focus on the right interplay of outsourcing and internal R&D to streamline costs and effectively reach key milestones. The event scheduled for January 27th is being postponed until February 3rd at the same location due to a snow emergency. All registrations and tickets sold this month will be honored at this event. This month we will meet at Central Bistro in Downtown Crossing. Central Bistro is a modern and airy venue with an excellent wine bar and French cuisine for those seeking a bite to eat. Share the holiday cheer with your friends and colleagues at BiotechTuesday. This month we will meet at Emerald Lounge, a modern venue in the Revere Hotel that is conveniently located near the Boston Commons and the Theater District. For those who missed out on the free cards from MOO, there will be an opporunity to meet MOO representatives at the event and receive additional offers. Pharmatek is sponsoring the September 9th meeting of BiotechTuesday. Pharmatek's Director of Pharmaceutics, Lisa Caralli will join a panel of industry experts to discuss peptide product development. Join us for pizza and networking as we discuss the ins and outs of peptides. Routes of administration and formulation development strategies, including solutions, suspensions and lyophilization. Moving from discovery to development and ultimately into the market. This month's event will be held at LabCentral, a unique, non-profit, research space designed from the ground up to support biotech startups. 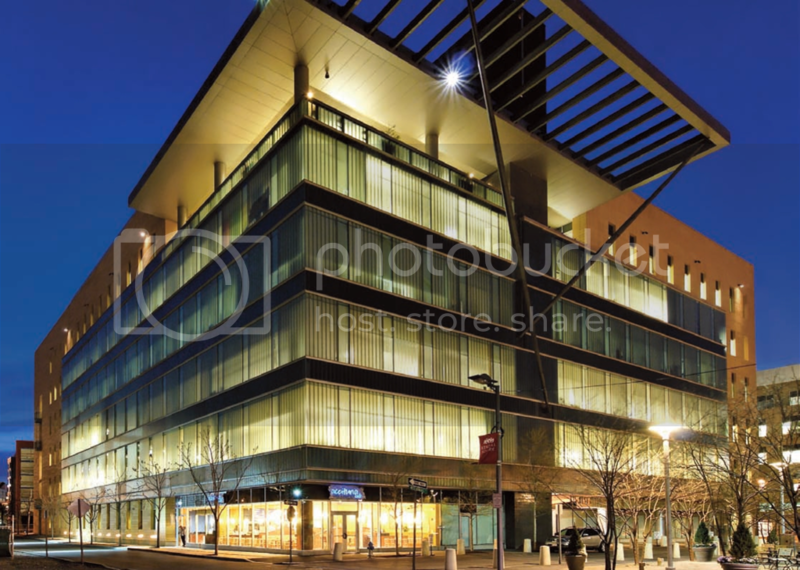 We will meet in the main lobby of LabCentral to network with tenants at this distinctive and modern research facility. Due to space limitations of this venue, there will be a limited number of RSVPs/tickets for this event. We are grateful for the sponsorship from the Johnson & Johnson subsidiaries, Johnson & Johnson Innovation and Janssen Labs, that made this event possible. Through a collaboration with Johnson & Johnson Innovation and LabCentral, a Janssen Labs has been established at the LabCentral facility in the Kendall Square biotech hub. More. This month's event will be held at Emerald Lounge, and if weather permits, on the roofdeck bar at the Revere Hotel. The roofdeck bar offers spectacular views of Boston and is a great way to network on a hot summer night. Access to the roofdeck bar is limited to the first 150 attendees with a BiotechTuesday wristband. Please proceed to the Emerald Lounge to register and pick up your wristband. This month's event will be held at the popular Alibi Bar & Lounge in the Liberty Hotel next to MGH. We will meet in the great outdoor patio if the weather is nice. This month we will meet at Emerald Lounge, a modern venue near the Boston Commons and the Theatre District. It sports an outside deck if the weather is nice. This month we will meet at Carrie Nation, a new venue near the Park Street T with the feel of a speakeasy and room to network around a pool game or two. This month we will meet at Moksa. A venue in Central Square near the T that offers a large and modern space to enhance networking. Food for Thought offers BiotechTuesday members an opportunity to networking over dinner. Attendees can choose to have a table discussion on a specific topic or one-on-one discussions with others at the table. Food for Thought is part of the BiotechTuesday networking event. You can RSVP for BiotechTuesday from your invitation email or purchase a ticket from the BiotechTuesday event page coinciding with this event date. In addition to registering for BiotechTuesday, each attendee to Food for Thought needs to purchase their fixed price dinner ticket in advance here. This will streamline the dining experience in order to maximize networking at the BiotechTuesday event from 7-10PM. This month we are meeting at Moksa. This restaurant offers Asian-inspired tapas alonside an award-winning beverate program. We are offering a two course menu (Appetizer and Entre) for a fixed price of $35 including gratuities and tax. This does not include the cost of drinks and desert, which each attendee will need to arrange for individually at the event. There are only 18 tickets available for this event, so please register now! Please note that all dinner tickets purchased for Food for Thought are non-refundable and non-transferable. BiotechTuesday members have a unique opportunity to attend the reception at the end of this conference from 5PM - 8PM. There are only a limited number of reception tickets available, and they are not available anywhere else. Don't delay, purchase your ticket at "Register Here" button above! BiotechTuesday members can attend this conference with unique registration options and special reduced rates. These registration options are only available at BiotechTuesday. Registration has closed for this event. This conference offers an excellent opportunity for start-ups to access potential investors, and for future entrepreneurs to learn more the about fund raising process. BiotechTuesday is offering complementary full passes to the conference to three startups that offer the best pitch for why they should attend. These passes include the opportunity to schedule appointments with investors and strategic partners in the partnering session. The passes will be awarded by the conference management based on the top three pitches submitted online. *Note: The reduced rates are only available to members of the BiotechTuesday regisrtation list. Offer limited to one conference registration per BiotechTuesday member. A big congratulations to the winners of the first BiotechTuesday Innovation Competition! DavosPharma - Most Innovative Product or Service Award for their Anthem-GenTox assay. Thank you for your participation in this competition! BiotechTuesday members are free to reach out to the companies via their contact information on the description page. Leverage Boston’s largest biotech networking group to drive your innovation! Engage our members with cutting edge ideas and products online from which they will elect winners. Top innovations will be showcased in our fun and exciting event that includes our Piranha Pool pitch session for start-ups, table pitches for innovative products and plenty of informal networking. Attendees learn how investors and other industry leaders evaluate an opportunity. “Five minute dive” sessions for entrepreneurs to pitch the Piranha Judges LIVE. Awards are presented for the most innovative products and top innovative companies. Those who are not a member of BiotechTuesday and want to vote on a startup need to "Apply to Join" BiotechTuesday. Interested in being a judge or joining our event support team? Click here. Access the BiotechTuesday Community to Support your Innovation. BiotechTuesday and Microsoft are partnering to host an event that supports innovative ideas in biotech. As Boston’s largest biotech networking event, BiotechTuesday has been connecting professionals for over eleven years. This workshop combines informal networking with a presentation on early stage drug formulation followed by a one-on-one session to answer your quesitons on pre-clinical to Phase II development. It supports our Grow Innovation in Biotech Competition for products and innovative ideas that has moved to a new date later in the Fall. 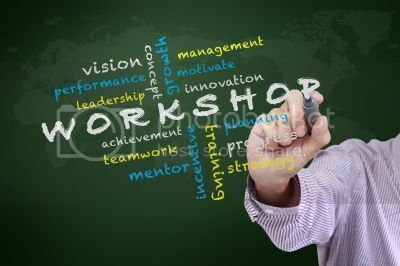 Companies from all stages of development will benefit from this workshop. If you have an innovative idea or product, please enter a pitch into one of our two competitions. Sponsor an Innovation Award and learn about other sponsorship opportunities. Click here.Interested in being a judge or joining our event support team? Click here. With capital in short supply, companies need to focus on maximizing research efficiency in order to hit key investor milestones. Smart Sourcing can offer companies a set of best practices for optimizing the outsourcing process. Our panel brings a wealth of perspectives on outsourcing R&D from small start-ups to top pharmaceutical companies. Don't miss your opportunity to attend this invitation-only event and network with a select group of biotech and pharmaceutical professionals in advance of BiotechTuesday. Space is limited, so register now! Verastem Providing innovative, customer-intimate environmental solutions for over 25 years. Please feel free to forward this email on to others who might like to attend this invitation-only private event. Those who are not a member of BiotechTuesday need to "Apply to Join" BiotechTuesday. Members of BiotechTuesday who are not on the invite list for this event need to login and send a request from the "Support" page with their current employer and title. We will accommodate these requests based on available space and approval by the event sponsor. With the rapid increase in venture capital investments over the past year, it is the best of times to be an innovator. Our "labside" chat presents leaders from biotech companies at Mass Innovation Labs to discuss their experiences, perspective on the industry, and key trends going forward. This is a great opportunity to hear about exciting startups such as Imagen, Gritstone Onoclogy, Waveguide and others.